The IBM TS1160 tape drive gives organizations an easy way to deliver fast access to data, improve security and cost-effective long-term data retention infrastructure. TS1160 offers high-performance, flexible data storage with support for data encryption. This sixth-generation delivers improved capacity and performance than the previous generation and it can help protect investments in tape automation by offering compatibility with existing automation. 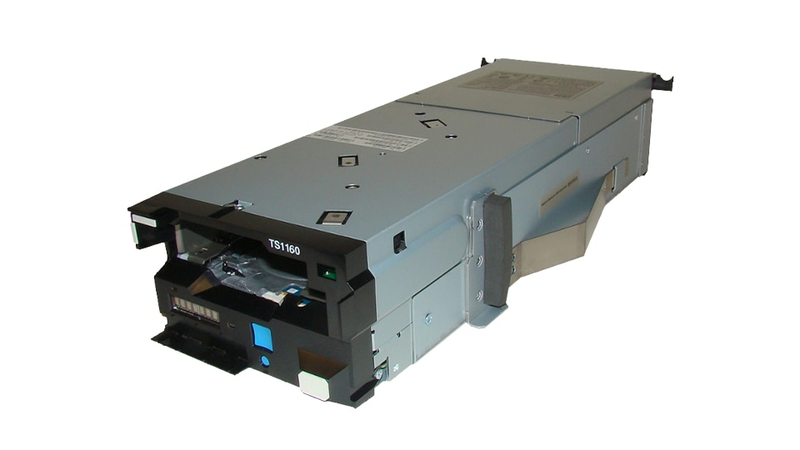 Plus, the TS1160 supports the LTFS format in IBM Spectrum Archive for direct, intuitive and graphical access to data. Offers native data transfer rates of up to 400 MBps (up to 900 MBps compressed) and new dual-port 16 Gb FC support. IBM 3592 enterprise drives are recognized as a state of the art on Tape technology. The TS1160 delivers higher capacity, better performance, and reliability than other formats, providing a lower TCO. Delivers increased native capacity per tape with double the capacity of TS1150. Improves performance and provides compatibility with existing IBM tape automation installations. Offers the ultimate line of defense and greater protection of sensitive corporate data.